Comments Off on PUBG Mobile guide will not play first person? 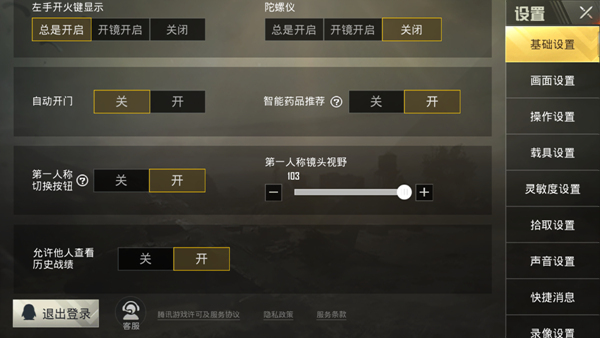 PUBG Mobile guide will not play first person? 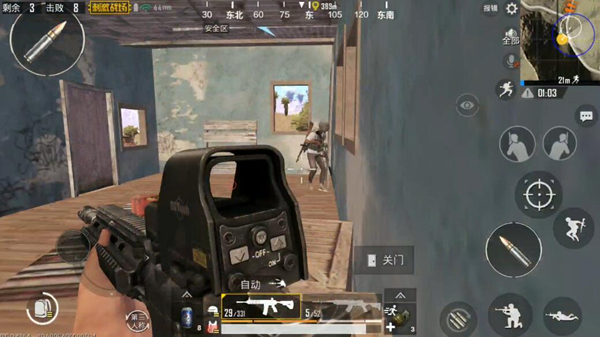 The new version of “PUBG Mobile: Stimulus Battleground” has launched the first-person model. 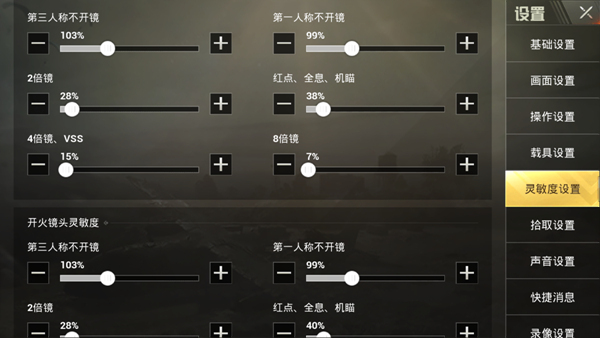 I believe that many players have made a big sigh for entering the game! Of course there are good and bad, but more Or because it does not adapt. But it does not matter, today we bring you the first-person model of those who need to pay attention to the small details, understand the following content, I believe we will be faster to adapt to the pace of first-person gameplay. The first choice is the size of the first-person lens field of view, and different ranges of the first-person field of view can be obtained depending on the numerical values. Specific training can be adjusted to find the best value for your experience. Second is that the first person does not open the mirror lens sensitivity. Because there is a big difference between the first person’s visual field size and the third person’s mode, the previous moving speed is no longer applicable and can be adjusted in the training field according to its own experience. The first-person view is limited, the card It is impossible to achieve the opponent’s vision in the blind vision of the opponent’s field of vision. In general, as long as you can see me, then I can see you too. When confronted with the enemy, the player who prioritizes the opponent’s impending position can easily take advantage of the reaction time in both situations. So the unwelcome early targeting in the third person is one of the core points of the shooting in the first person mode. Bunker in First Person Mode The use of nature is also essential. But here, bunkers are no longer as body protectors as in the third person model. Although we can use the bunkers to obtain temporary security, but basically can not get any information in the opponent’s direction, and opponents can take the opportunity to grab the line or transfer, so after the bunker to obtain the relative direction of security at the same time, the other direction is also dangerous May be approaching. Remember ! In the first-person model, we no longer have a 360-degree, all-round, third-person view with no dead ends, and we need to be cautious about the use of bunkers. Use of throwing weapons due to changes in the visual field At the time, the auxiliary parabola in our field of vision is clearer. There will be no third-person view because the field of view, resulting in extremely unclear parabolic footing, making it difficult to accurately cast grenades and other weapons. In addition, the angle of looking upward in the first-person model is also significantly greater than that of the third-person, and this effect is reflected in the throwing of the hand toward the house under the corner of the room.Ray’s situation. Can you see me and I can see you in the first-person mode of information equivalence, how do we safely get visual information? After we are in a bunker, or in a house, then we need to keep After moving, you need to quickly withdraw after exposing your body. The room area needs to be shaken around the window repeatedly. The same applies to slopes and mountains. Keep in mind that regardless of whether or not there is a target in the field of view, you need to keep moving. Otherwise, it is very likely that you will be shot by the target that you have not yet noticed. PUBG Mobile guide First-person model encounter experience! Vision zero analysis of ideas! 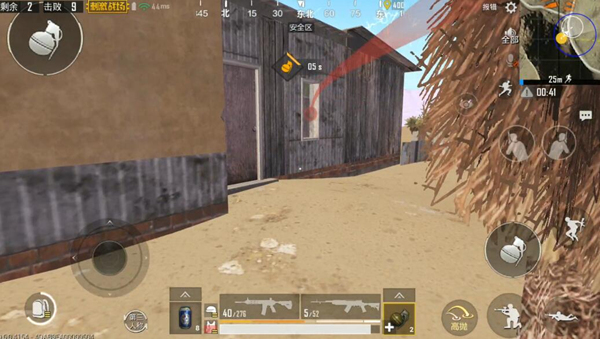 PUBG Mobile guide Ultimate Exposure! High-power lens pressure gun tips you want! 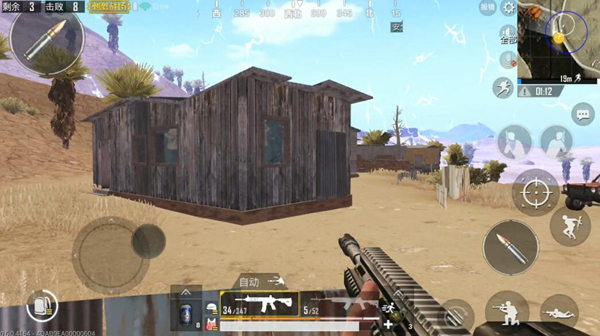 PUBG Mobile guide Fun first-person perspective, bid farewell to new!